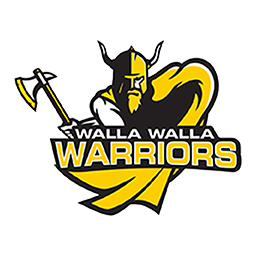 After a back-and-forth first half, the Walla Walla Community College men’s basketball team found its stride in the second half and cruised to a 92-73 victory over Northwest Athletic Conference opponent Treasure Valley. Damen Thacker had it going early for the Warriors, as he sliced through the Chukars’ defense to put up 20 points in the first half, and finished the night with a game-high 26 points. In the second half, it was Jake Albright’s turn. 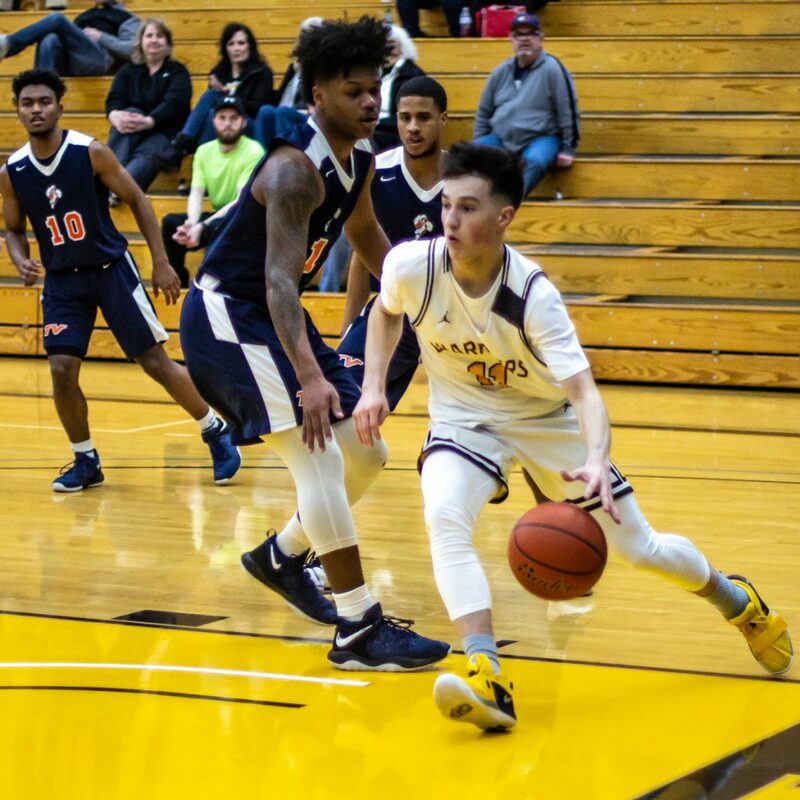 After a slow start to the game after getting into foul trouble, and scoring only three points on 1-for-5 shooting, he finished the game with 22 points on 8-for-14 shooting, as Treasure Valley had no answer for him in the post in the second half. Teammate Forrest Smith finished with 19 points, and hit three 3 pointers as he came out strong in the second half as well. 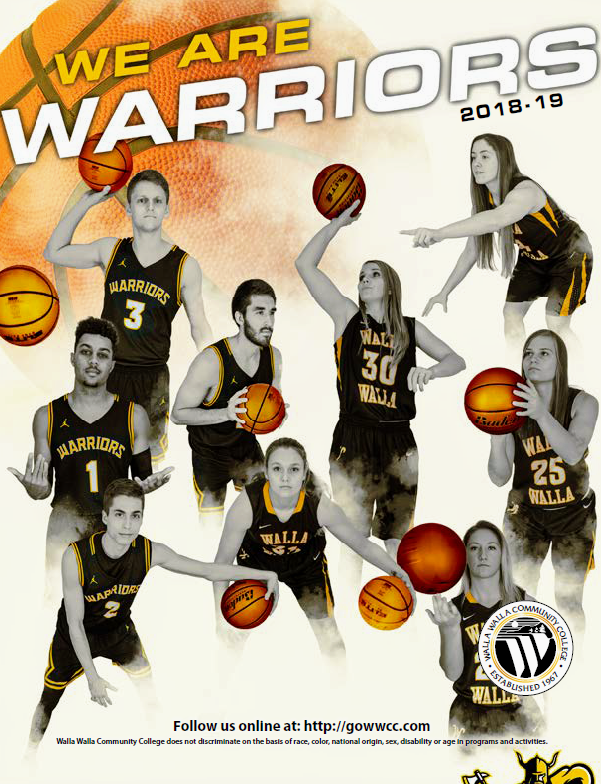 “Very slow start, very sluggish start; we weren’t ready to go, came out very, very flat in the first half, one of the worst halfs we’ve played this year,” said Warrior coach Jeff Reinland. “The second half was much better; we hit some shots, we got some shots, (but I’m) still not happy with how hard we played all game. “We’ve got to bring more energy to the floor,” he said. “Honestly, that was one of the more frustrating games I’ve coached. Dajon Howe had a team-high 21 points for Treasure Valley, followed by teammate Jaden Vaughn, who finished with 15, and Kieron Hatchett, who dropped 16 off the bench. “Overall it was a good game; at halftime I thought we were in trouble, we just didn’t have the energy and somehow we were able to get some open looks to start the half and made them. That kind of picked us up a little bit,” added Reinland. The Warriors are now back at .500 with a 9-9 overall record, and are 3-2 in the NWAC. They will be on the road at Big Bend on Monday at 4 p.m.